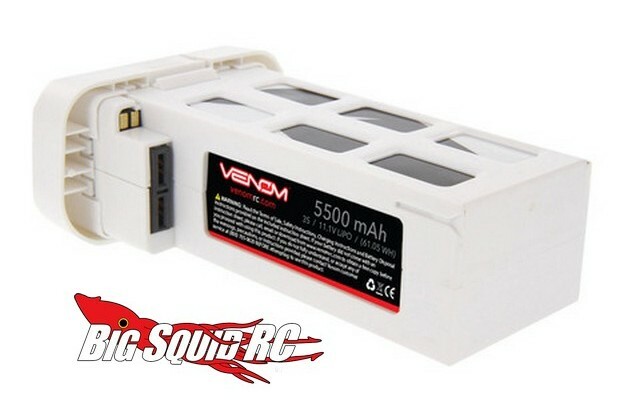 Venom DJI Phantom 2 11.1V LiPo Batteries with LED « Big Squid RC – RC Car and Truck News, Reviews, Videos, and More! What is the hottest name on the drone scene right now? Yes, that would be DJI. Their Phantom series quads are all the rage among the mainstream drone crowd. 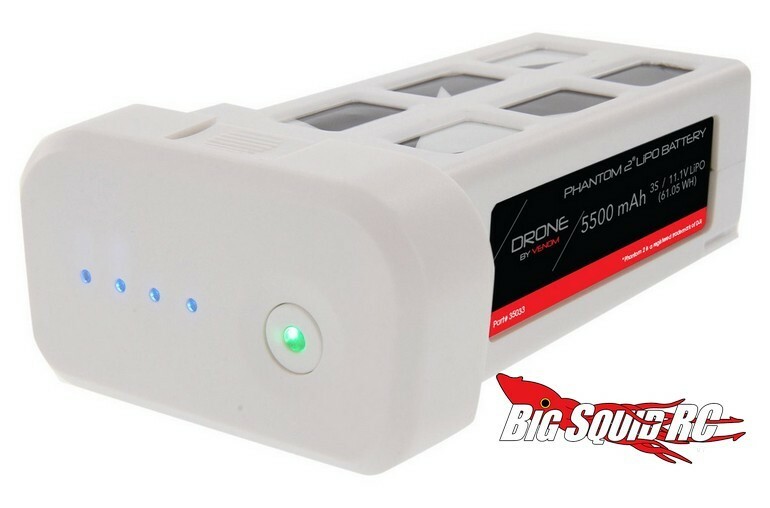 To help give the Phantom 2 Vision+ more power and run-time, the folks over at Venom Group have announced an upgrade 3S 11.1 volt 5500mAh LiPo battery. It has a part number of #35033 and is priced at just $79. Venom also has a Phantom 2 pack with a bit more capacity. It is also 3S in voltage, but comes in at 6000mAh. The part number for it is #35011 and it sports a price of $89. More details on both packs can be found at This Link over on Venom’s official website. Click Here to read more DJI drone news on BigSquidRC.